For many people, Mike Trout has been the unquestioned best player in baseball for the last couple of seasons. However, in each of those two years, he has lost out on the Most Valuable Player award to Miguel Cabrera. The debate has been a lively one, in terms of which player is actually better, or more valuable to their team. Cabrera’s contribution is almost entirely thanks to his bat, as he doesn’t run well and isn’t particularly adept on defense. Alternatively, Trout is the ultimate all-around player – he has great power, elite speed, and excellent defense in the outfield. 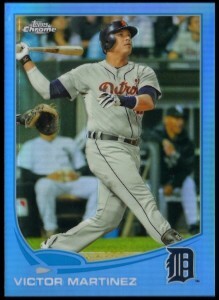 While Cabrera still had a good season in 2014, he wasn’t quite up to the level that he was in ’12 and ’13, likely setting the stage for Trout to get his first MVP. With no disrespect to the incredible talent of Miguel Cabrera, Trout probably should have won the MVP at least once already given his all-around game. Even on nights where Trout doesn’t hit a homerun or drive in a runner with a hit, he can still help the team by drawing a walk and stealing a base, or by taking a hit away in the outfield. If salaries were no factor and general managers could pick any one player to start a franchise with, there is little doubt that each and every one of them would select Trout as their top choice. 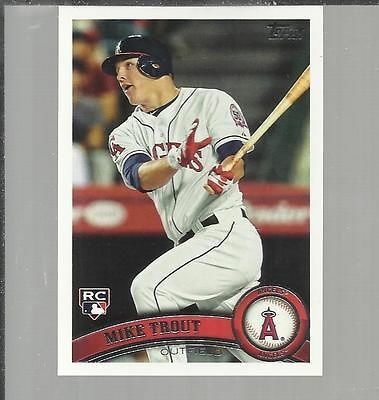 If you are a baseball collector of cards and other items, you should already have a section in your collection for Mike Trout collectibles. It is not hype to suggest that by the time he is done, Trout could very well be among the best players to ever play the game. Through the first 3+ years of his career, Mike Trout is on a pace that has rarely, if ever, before been seen in baseball history. No baseball collection will be complete without at least a few items representing this incredible talent, regardless of which team you happen to root for. Of course, the award that Trout has his eye on this season is not the MVP, but rather a World Series title. The Angels are the top seed in the American League playoffs, and Trout will form a scary tandem with Albert Pujols for any opposing pitcher to deal with this October. Although their pitching took a big hit with the loss of Garrett Richards, the Angles are still going to be a tough team to knock out of the playoffs thanks to a solid bullpen and intimidating lineup. If Trout is able to help lead the Angles to the World Series title, he likely won’t be worried at all about who ends up taking home the MVP award. With the 2014 regular season in the books, baseball fans across the country turn their attention to the playoffs and get ready for another October full of drama and surprises. While the baseball playoffs are often unpredictable, this year seems even more wide-open than most, making predictions a serious challenge to say the least. While the following guesses are almost sure to be wrong, here is our projection for the outcome of the 2014 baseball playoffs. In the American League, the A’s will visit the Royals and the Pirates will play host to the Giants. These are only one-game playoffs, so a quick nine innings will decide who moves on to the division series in each league. The A’s and Royals are both low scoring teams who rely on their pitching, which is also true of the Giants. However, the Pirates seem to have a little more danger lurking in their lineup. If those results hold, the division round would be as follows: The Los Angeles Angels would play the Royals, and the Tigers will play the Orioles in the other American League series. In the NL, the Nationals would face the Pirates, while the Dodgers and Cardinals will hook up in a rematch of last season’s NLCS. Despite the fact that the Angels and Nationals have the best records in their respective leagues, all of these series seem wide-open and each could be closely contested. Those results would set up a series between the Royals and the Orioles, and the Pirates and Dodgers. In the American League, it would be a serious contrast of styles, as the Royals are built on defense and pitching, while the Orioles love to hit homeruns. In the National League, the high-priced roster of the Dodgers would be taking on the younger group from Pittsburgh anchored by superstar Andrew McCutchen. In an unlikely World Series matchup, the Kansas City Royals would face the Pittsburgh Pirates. Each team has struggled for most of the last 20+ years, although the Pirates did manage to make it into the playoffs last year as well. The Royals will have the advantage if they can get even a small lead and turn the game over to their bullpen, while the Pirates will hope to get the games to be higher scoring where their better offense would have an advantage. One of the biggest stories of last offseason was the Seattle Mariners surprising acquisition of Robinson Cano. The Mariners had been struggling for the better part of a decade, and no one expected for the future Hall-of-Famer Cano to end up taking his game to the Pacific Northwest. It was a high priced gamble for Seattle that has already paid off – the Mariners had their best season in years in 2014 and were just one game short of Wild Card position in the American League. 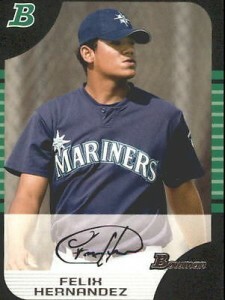 With Cano locked up for years to come, it seems that the Mariners might be on the right track after all these years. However, lost in the discussion about Cano coming to Seattle, was the fact that the Mariners already had a legitimate superstar on the roster. Felix Hernandez is a Cy Young winner who is on a very short list of the best pitchers in the world. Most would agree that Hernandez, known as King Felix in Seattle, is the best pitcher in the American League, and is probably the pitcher on the planet not named Kershaw. While a starting pitcher doesn’t play every day like a second baseman does, there is no debating the star status of the King. Amazingly, it would seem that Hernandez actually had his best-ever season in 2014. It didn’t seem possible for him to improve on his previous years, but he managed to take home the ERA title in 2014 and will very likely be the winner of the Cy Young award for the second time in his career. Beyond his on-field statistics, Hernandez has become an institution in Seattle and is easily the most-popular player in the city. He has already signed a long-term contract extension, and he and Cano are poised to be the face of the Mariners for many years to come. Hopefully for Mariners fans, it is a partnership that will lead the team back into October soon enough. In terms of collectibles, Felix Hernandez is certainly one player you want to have represented in your collection. 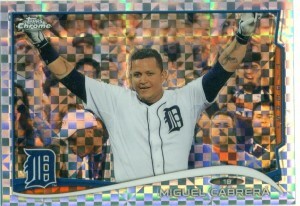 Rookie cards of the King are highly desirable, as are pieces that relate to his 2012 perfect game against the Tampa Bay Rays. 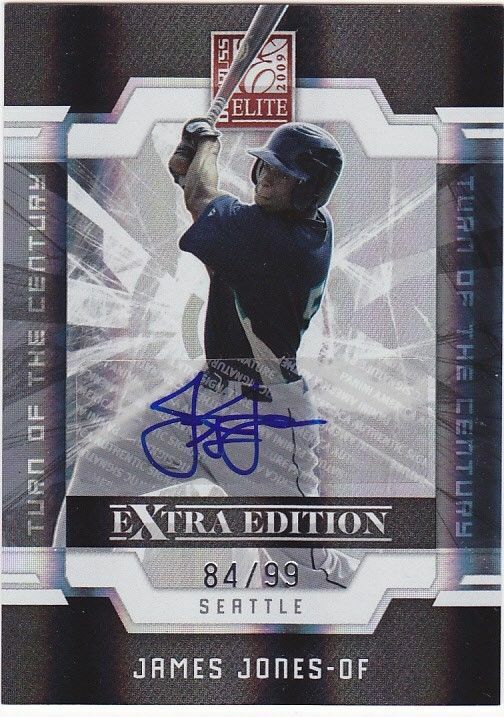 If you are serious about assembling a collection that represents all of the best players in baseball from each time period, Felix has more than earned his spot for the last several years in Major League Baseball. Be sure to track down a few of your favorite Felix-related pieces and add them to your collection. If the Mariners are able to make it into October and the King adds a ring to his already impressive mantle, your collection will be all the more impressive. For almost a decade, Justin Verlander has been among the very best starting pitchers in all of baseball. The powerful right-hander has spent his entire career in Detroit, and has racked up incredible strikeout totals along with low ERA’s and a Cy Young Award. Recently, the Tigers awarded him with a big contract, and for good reason – it appeared to be a sure thing that Verlander, barring injury, would remain an excellent starting pitcher for years to come. However, so far in 2014, that has not been the case. Verlander is enduring one of the toughest stretches of his career, and it is starting to cause concern about whether or not he will be able to regain his dominant form. The numbers, for the most part, tell the story. Through 15 starts, Verlander has a 6-7 record with a 4.98 ERA that is among the highest in the league for qualified starting pitchers. Perhaps even more concerning is the fact that he has only struck out 69 batters in 97.2 innings, while walking 41. 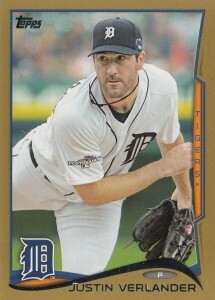 To be sure, this is not the Justin Verlander that we are all used to seeing. It is hard to pinpoint exactly what has caused Verlander’s struggles so far this year. His velocity is down from where it has been in previous seasons, so that could certainly be playing a part in the results. Without the overpowering fastball to set up his impressive breaking ball, Verlander might just be a little less worrisome to opposing hitters. Not having to fear the heater blowing right past them, batters are more able to adjust to off speed pitches. Of course, when a great pitcher starts to struggle, the conversation will quickly turn to whether or not he is hurt and just pitching through the pain. That is always a possibility, but doesn’t seem to be the case with Verlander. Other than the dip in velocity, he hasn’t shown obvious signs of injury, and certainly isn’t letting on to anything being wrong in his arm. Only time will tell if there is an underlying injury that can be pointed to as an explanation for his struggles, or if he is just dealing with a dip in performance. Just because he is going through a rough stretch right now doesn’t mean you should cross Verlander’s name off your list of collectibles to pursue. With a long track record of excellent performance, there is a good chance that Verlander will get things figured out and go back to being a productive starting pitcher in the near future. Even if he doesn’t reach his once lofty levels of performance, he could still return to being well above-average and a quality contributor to the Tigers rotation. Detroit has currently been passed in the standings by the Kansas City Royals, so getting Verlander to return to form could be crucial in getting the Tiger’s season back on track. You really can’t be blamed if you have no paid much attention to the Miami Marlins over the last couple of seasons. They haven’t been particularly relevant or interesting, with the exception of power hitter Giancarlo Stanton. 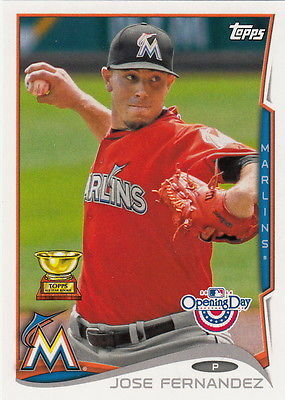 However, there is a new reason to watch the Marlins, and he is taking the National League by storm over the past year+. His name is Jose Fernandez, and you should expect to see a lot of him in coming seasons. Just 21 years old, Fernandez hails from Cuba and is already one of the best strikeout pitchers in baseball. 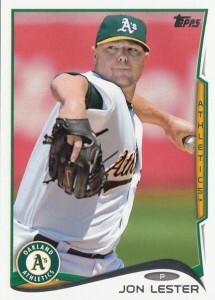 In only 185.1 innings in the major leagues, he has already K’d an impressive 204 batter, while walking only 60. He started 28 games last season for Miami, recording a 2.19 ERA along with a 12-6 record. 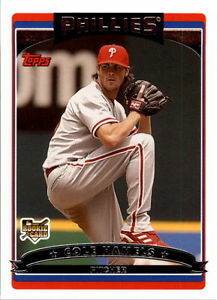 He won the Rookie of the Year award, was an All-Star, and finished third in the Cy Young voting. Not a bad start to a major league career. Fernandez dominates games with classic stuff that you would expect from a big right-handed pitcher. 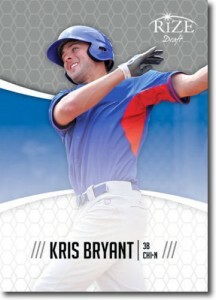 His fastball is intimidating, and he has the control over his secondary pitches necessary to make batters respect them. He hasn’t been doing it with smoke and mirrors – this kid has all the tools to be one of the best pitchers in baseball for years to come. When you start talking young Marlins players, the natural question is whether or not they will stay with the team long-term. Miami has made some big trades over the years, and seen some impressive players head off for new cities. However, Fernandez is young and under many years of team control, so it seems likely he will remain in South Florida for the foreseeable future. Also, the Marlins have expressed interest in keeping Stanton around for the long-term, giving them the possibility of having a star player on offense and in the pitching staff. Picking up some Jose Fernandez collectibles soon would be a great idea for any collector. Rookie cards should be easy to find since he was just a rookie last season and, given good health, his stock seems to be headed nowhere but up. Beyond his ability on the field, he has already gained many fans with a quick smile and great story. If you have a collection of cards or other items that highlight some of the best power pitchers in history – names like Clemens, Ryan, Johnson, and more – you will want to make sure Fernandez is represented sooner rather than later. He hasn’t earned a place among the greats just yet, but his ability is of that caliber. Things seem to be turning around for the Marlins, who just might have a better 2014 season than most would expect. They probably aren’t ready to contend for a playoff spot in a tough division with Atlanta and Washington, but the Marlins are starting to build around two of the best players in the game in Fernandez and Stanton. With that kind of a base in place, winning seasons may be just around the corner.